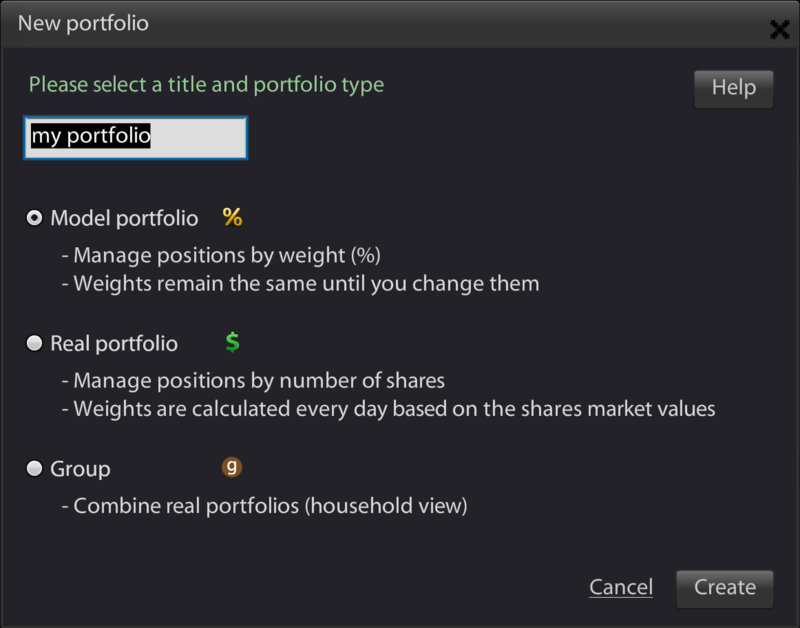 The third option Group can be used to combine real portfolios in a household view. Later, you have the option to convert a model portfolio to a real portfolio, and vice-versa, through the Edit menu. Portfolios defined in other systems may be imported into Portfolio Lab. Refer to the Import Data section for more information.